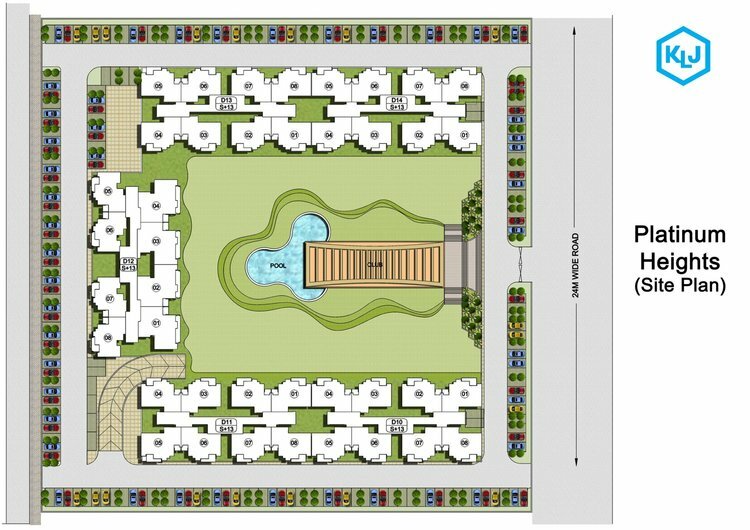 KLJ Platinum Heights residential project which has been launched by famous KLJ Group. The project has been located at sector-77 which is having close vicinity to commercial zone sector-79. This project has been well known and diversified project that spreads across 51 acres of land wherein 60 acres of land has been used for commercial purpose. 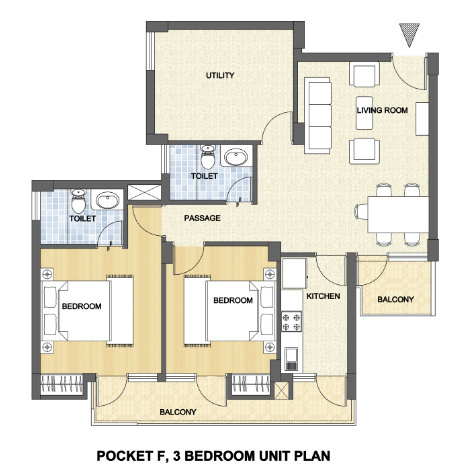 The project comes up with 2BHK and 3BHK residential options that range from 930 sq. ft. to 1266 sq. ft. area respectively. The possession of the project will be handed over by the year 2016. 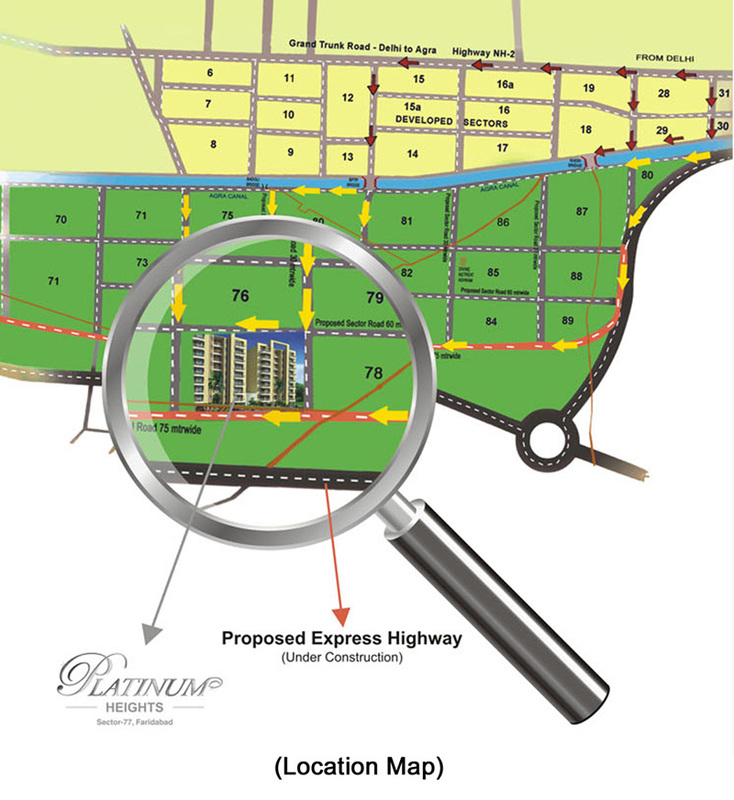 When it comes to location benefits, we find KLJ Platinum Heights is deliberately placed on 24 meter wide sector road. 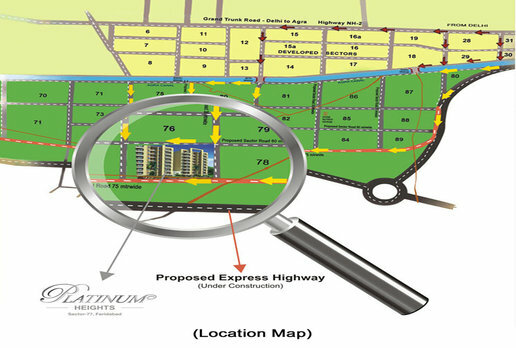 The project is having close proximity to FNG expressway. You will have upcoming metro station within the area distance of 3 kms. Apart from this, you will be blessed with famous schools, medical facilities, colleges, hospitals, shopping hubs, lush green surrounding, amusement parks and Cineplex’s within close proximity to the project’s location. More, the project is featured with modern-day amenities, round the clock security, 24 hours water supply, 100% power backup, shopping centers, reputed shopping centers and many more. Apart from all such benefits, you will benefit some more interesting features such as swimming pool, club house, badminton court, basket ball court, tennis court, gym, health care centre, jogging and walking track, huge green landscape, park area or centres. You will be blessed with amusement centers and lush green surrounding all around. This is how, you will be blessed with a complete lavish life-style that will give you all the comfort and you will get all these facilities at single place also at reasonable price segment. In today’s time affordable group housing societies are in high demand as maximum population who are working in the developed cities of Delhi NCR area like Gurgaon, Delhi and Noida prefer to live in some nearby place which should not be so expensive. So, keeping all such necessities of today’s youth many of the renowned developers have come up with numerous leading projects that have been developed in huge group housing societies and possessed with various ultra-modern features and facilities that make our life truly amazing. On the other side, this location of Greater Faridabad itself is quite advantageous as it is close to proximity Delhi, Gurgaon, Noida. More, Badarpur metro station, fly overs, shopping hubs, complexes, malls are located within close vicinity. Super Area 930 sq.ft. 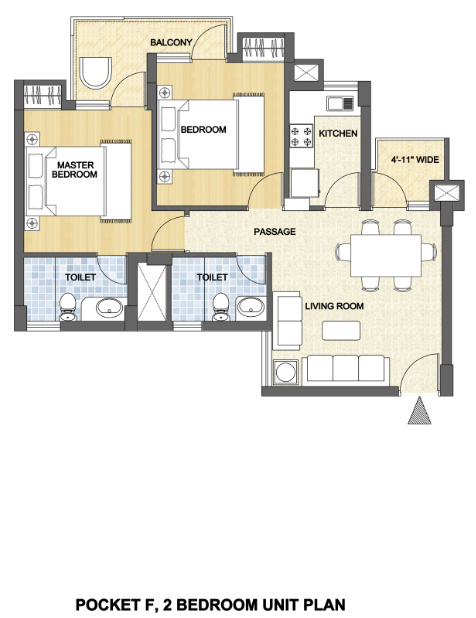 1266 sq.ft. Copyright © 2017 www.kljplatinumheights.net All rights reserved.